Two days after the North Marion boys basketball team celebrated its fourth-place finish in the 2019 winter season, the majority of the team had discarded their high tops in favor for cleats for the start of the spring baseball season. If there was any doubt whether the Huskies could transition from one sport to the next in the span of 48 hours and maintain the high-level of play that last year's team displayed on the way to the state semifinals, it was all squashed after the baseball team started 4-0 to open the season last week. "Definitely there was an adjustment period, but at the same time, we've got a lot of returners," North Marion head coach Randy Brack said. "It wasn't like we're bringing in a whole new squad of guys and having to reteach or teach everything to start out again." 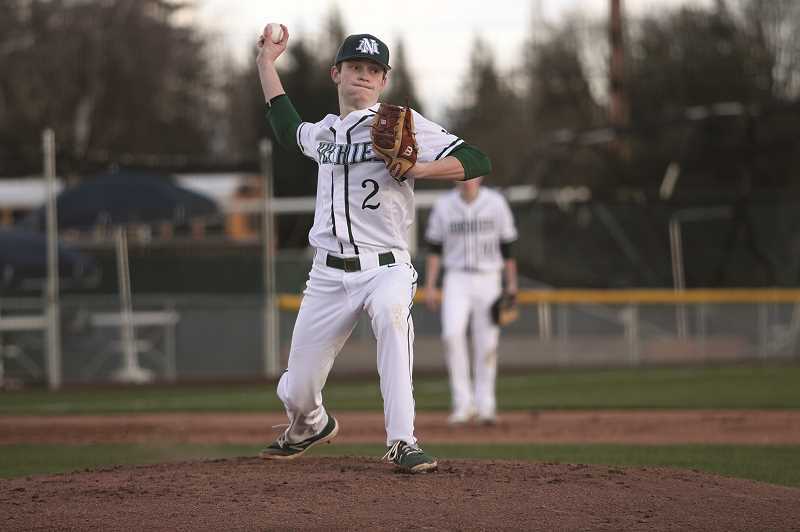 The Huskies kicked off the season on March 11 with a 7-1 win at Valley Catholic High School, then followed with an 11-4 victory in the team's home opener on March 13 against Sweet Home. 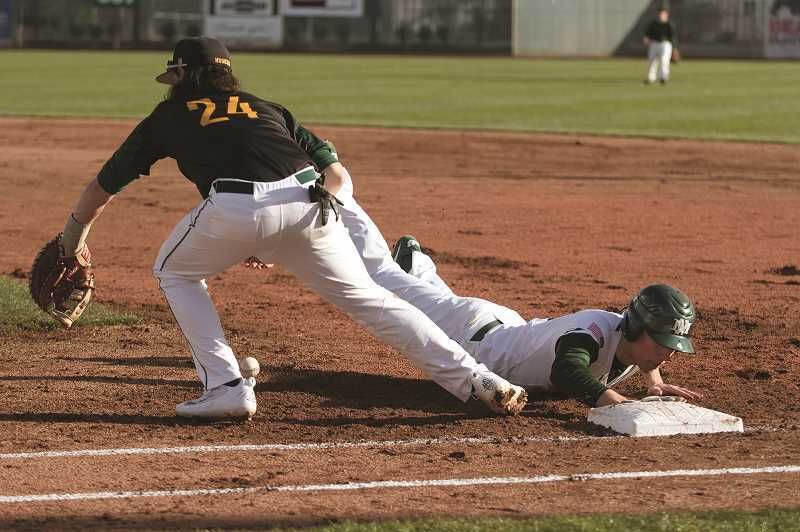 North Marion concluded the week with back-to-back wins, traveling to Astoria on Friday to beat the Fishermen 13-3 before returning home to take out the Henley Hornets 9-4 on Saturday. In the aftermath, Brack was impressed with the team's ability to transition so seamlessly from one activity to the other. While he expected the players to be up to the physical challenge — after all, most of them are in peak physical condition coming off the basketball season — there was concern about how mentally focused they would be. "They did a great job with that; the intensity was able to stay up all week," Brack said. "We were a little afraid they'd hit the wall somewhere, but they just stayed with it." One of the biggest takeaways from the first four games of the season was the improved ability for the Huskies on offense. Last year's roster struggled to score consistently coming out of the gates, and the team was held scoreless in its semifinal exit to eventual-state runner-up La Grande. But with a year of experience under their belts, this year's team looks to be much more polished in the batter's box. "We did it in a variety of ways," Brack said of the team's 40 runs it put up last week. "We did it with running the bases, using the bunt, and we did it by standing up there and slugging away a couple of games." Not typically a power-hitting team, the Huskies opened this season with three different players hitting home runs in the first three games. Against Valley Catholic, junior catcher Noah Wierstra hit a two-run shot. 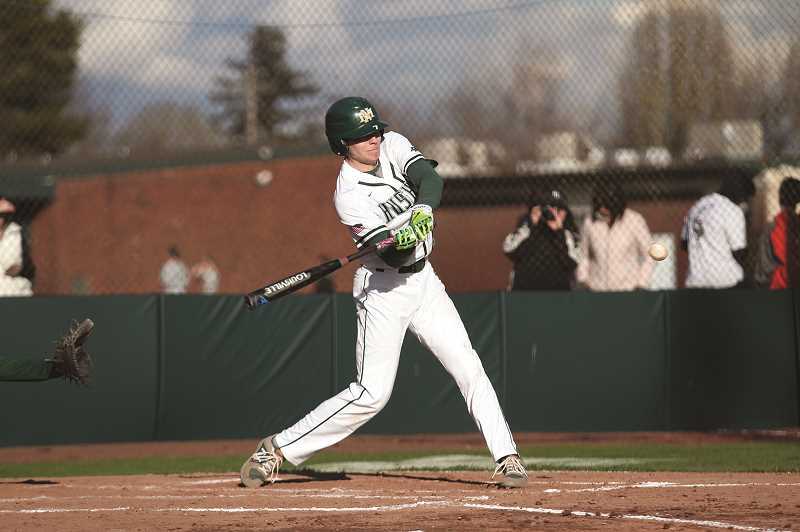 That was followed by senior Nic Iliyn, who blasted a three-run homer against Sweet Home, and fellow senior Grant Henry hit a grand slam as part of a six-run inning in the Huskies' victory over Astoria on Friday. "For us to do what we want to do - we need to swing the bat better and more consistently," Brack said. "This week we kind of showed that we can do that a little bit, and in my mind, we're going to get better than what we did this week." Henry's game against Astoria was a particularly positive moment, in which he came off the bench to go 2-for-2 with six RBIs while striking out five batters in two scoreless innings to pick up the save. Henry injured his left knee during the fall football season and retweaked the injury in the final 30 seconds of last basketball game of the season. After being used as a designated hitter in the first two baseball games of the season, Friday's appearance against Astoria was his first action on the field, which he followed with his first start on Saturday. Up and down the lineup, the Huskies were effective last week. 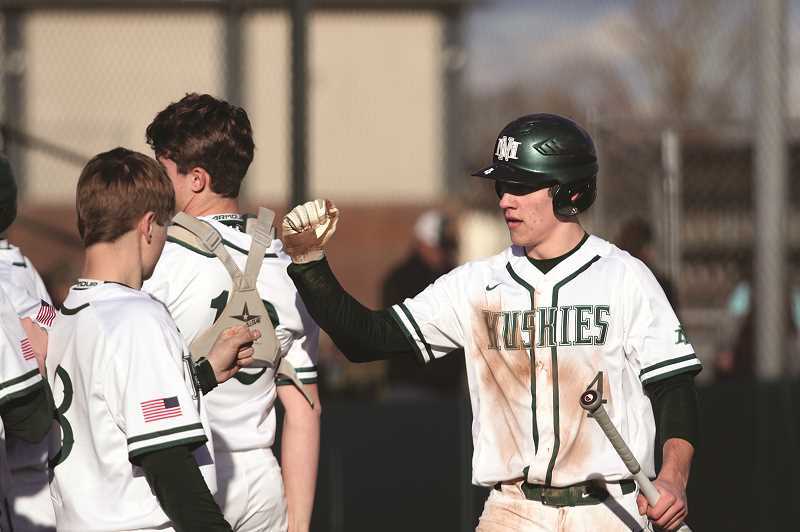 From Iliyn's near-constant presence on the basepaths as the team's leadoff hitter to players like Wierstra, Jared Hauser and Hunter Wierstra putting up production in the 7-8-9 slots — this year's team has yet to show a weak spot offensively. "We have a lot of different weapons," Brack said. "We're deep. Everybody contributed and everybody had a turn in a big inning. It was definitely a whole team effort."